Dog-gone but never forgotten: Whatever Happened to Wolfman Mac? 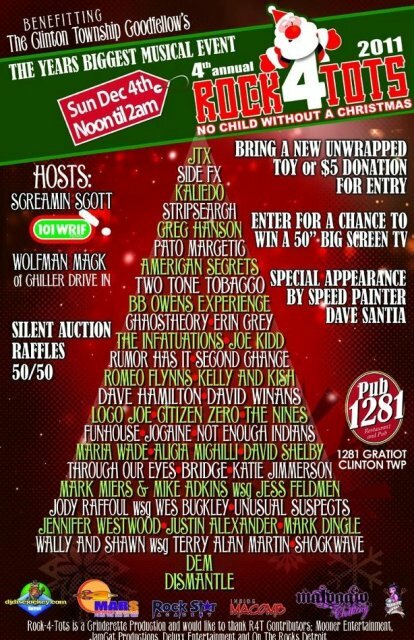 Exactly one year ago, Wolfman Mac’s Chiller Drive-in appeared to be on the fast track to stardom. I’d just attended his studio Open House (Part 1 of 3 covered HERE) that previous September and watched the former DJ- turned-horror host surrounded by his adoring fans – an impressive legion (or pack, if you will) that had grown steadily in the few short years since his character’s inception. It was a night I’d never forget. As we gathered near, Mac grabbed a loud speaker and proudly announced that 2011 would see his show go “international” as the crowd went wild. 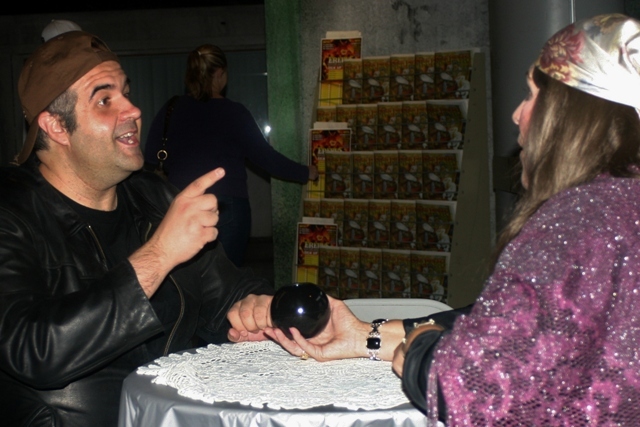 One didn’t feel the need to consult with Madame Nina’ in forecasting the success of Wolfman Mac. Me with Madame Nina’ – The Future Looked Bright! As his merchandise & marketing went full swing, a brand new season of shows and characters were being debuted. 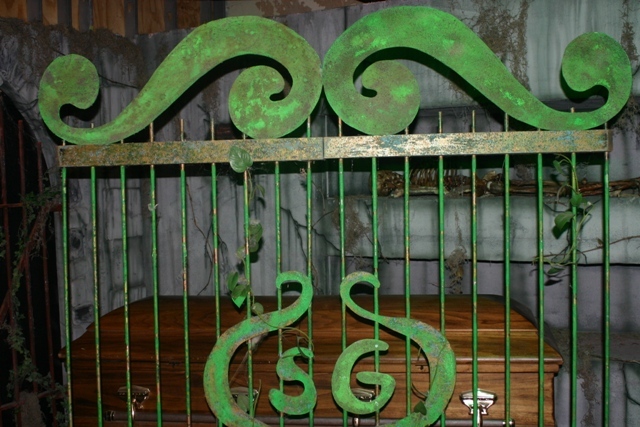 Mac was surrounded by talented crew member’s that boasted ties to Ohio’s The Ghoul, as well as the very gates of Sir Graves Ghastly himself. There was something almost prophetic in the air that night as it appeared one generation of horror hosts was passing down its blessings to another. 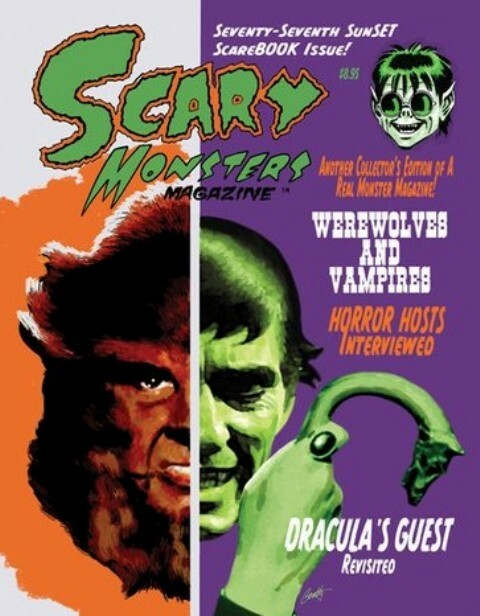 A few months later, Wolfman Mac would grace the cover of Scary Monster Magazine along with an article inside written by myself. My first real article for my favorite “REAL” monster mag conveyed both mine as well as my children’s fervor for Michigan’s new host. This was a bold move at this pre-TERROR FROM BEYOND THE DAVES time for a Chicagoan firmly residing in Svengoolie territory. If committing Heresy amongst my fellow Sven fans was of concern, however, it was quickly squelched when I saw the smiles on my daughter’s faces whenever Mac appeared on the screen. Wolfman Mac boasted hilarious writing (courtesy of the talented Raymond Dean Vanderkolk), great characters (many created with the aid of the legendary Dave Ivey), Boney Bob (the nefarious sidekick everyone loved to hate), and a LIVELY host. It was the perfect blend of nostalgia and laughs that illustrated exactly what we loved about the horror hosts we grew up with. Children were transfixed, while adults welcomed the dingy drive-in like an old, lost friend. Surely only a bazooka-sized silver bullet could stop the enigmatic Wolfman Mac’s rise. Unfortunately, 2011 would prove to be anything but a promise fulfilled. Horrorhound Weekend 2011 saw the first indication of trouble as the return gathering of hosts saw members of The Chiller Drive-in, sans Wolfman Mac. His absence was palpable and this soon followed with the defection of many of his talented cast mates. Show business is a tough industry. Becoming a successful, commercial horror host is even more daunting (just ask Elvira: Mistress of the Dark these days). RTV, a cable station featuring vintage Television shows and who’d also been providing air space for The Chiller Drive-in, began losing its markets to its main competitor – MeTV. I can honestly say that Wolfman Mac was on the minds of both David and myself a LOT this past year. This is simply “life” and, God knows, I and many of our readers will attest that 2011 was challenging for a LOT of us. Even my own home, once a haven of comfort to me, began crumbling from within this past year. The jobless rate is high along with prices of food and gas. Those that are “lucky” to have jobs see most of their hard earned money whisked away within a day or two after payday – while having to work more hours and twice as hard to make up for the lost jobs their company’s can’t afford to replace. Wolfman Mac is NOT a failure, nor is this post designed to be his epitaph. Rather this is an open appeal to Wolfman Mac and his Chiller Drive-in to NOT GIVE UP. We believe in your show but it is even more important that you never stop believing in yourselves. Your show was absolutely worthy of success and we are hopeful that someday a savvy, commercial TV station will see that themselves. We, in our limited capacity will do whatever you’d like to help get the word out. We encourage you to not be afraid to ask your fans for assistance either. I’m sure I speak for many of us when I say that we are willing to help you any that way we can – be it writing letters to stations, attending fund raisers for the show, etc. Latest event show’s Wolfman Mac is still in the game! We wish Mac luck on ALL his endeavors and and look forward to the day when we all hear his signature “Howl” before introducing us to an all-new show. Mac urges his devoted “Wolf Pack” to (despite the lull) “not give up.” We would like to offer the same advice to him. At the end of my Scary Monsters Magazine piece I stated that while my family will always love Svengoolie, “Wolfman Mac’s howls” will echo our halls for years to come. I can only hope that this will be true. Mac, we fans are patiently waiting for our “Leader of the Pack” to return. This entry was posted in Horror Hosts and tagged BONEY BOB, DAVE IVEY, Dr Destruction's Big Top Radio, MADAME NINA, RAYMOND DEAN VANDERKOLK, WOLFMAN MAC'S CHILLER DRIVE-IN. Bookmark the permalink. Good article but it really isn’t made clear that Retro tv dropped him or why: it just says the network was losing stations. Also, why wasn’t he at Horrorhound and why are his castmates (and writers?) abandoning him? Retro TV didn’t drop Mac, his show is still being aired on that station. Economics was more likely the issue concerning HH and the exodus of staff. Retro dropped it in our market about a year ago. Interesting read. Its certainly hard to stay motivated when the powers that be don’t see the value in your product. Not talking about fans and general audiences just the ‘visionaries’ that hold the keys to the broadcast kingdom. I have met Mac and enjoyed being on his show, loved the group they had put together and locations they had both new and old. But without revenue streaming in I don’t know how you can keep that up. Its just the times we live in with media. I think if you could get with Hulu or netflix or some pay to play streaming service, perhaps there is room for a new model. Luke, nobody’s abandoning anything. There’s always going to be people that go off on other projects. 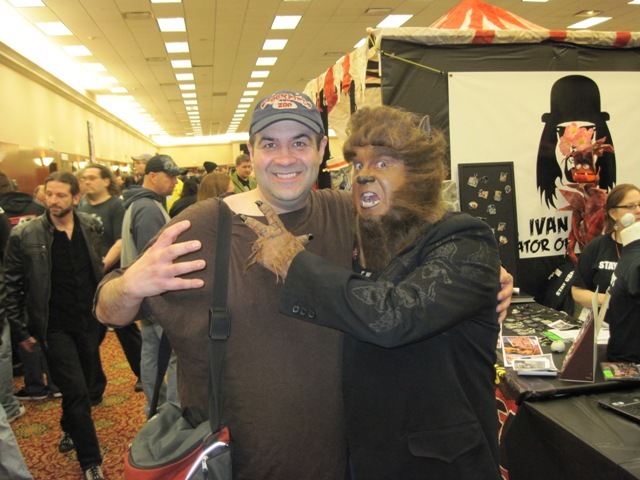 As far as me not being at HH, I just shaved my head for charity and couldn’t be Wolfman Mac that weekend. That’s all. I’m attending this year and also going to other conventions as well. Also, we have NOT stopped production. We’re becoming a business before doing more shows. It’s just a long hiatus. We’re not quitting or going away. Not at all. It’s difficult for programs with million dollar budgets to get air time, we’ve been very blessed so far. We have every intention of continuing. Wow great news Mac — thanks for the clarifications! Seems like this article would have been of better service to the community if Dave were to have interviewed you on exactly what’s going on. Any chance of that happening Dave and Mac? If there was any question I could ask that wasn’t made clear in our most recent post, I’d certainly ask it. I will say that I spoke with Mac tonight and am hopeful we can feature more photos and stories regarding his current activities. So anyone out there in Detroit… this is an open invitation. Sorry Dave — I hadn’t seen the follow up article yet! My bad! No problem, I appreciate your readership and interest in Wolfman Mac’s Chiller-in which is an amazing show! Can’t wait for the return of the new shows. I went out and purchased a set-up so I could get the show, when we switched to Dish network. I’ll keep watching. God bless all. I’ve really been missing Wolfman Mac’s Chiller Drive-In for some time now… Though I’ve been enjoying Svengoolie on MeTV in recent months, I’ll always be EXTREMELY grateful to the Wolfman for reawakening my love for hosted horror movies. 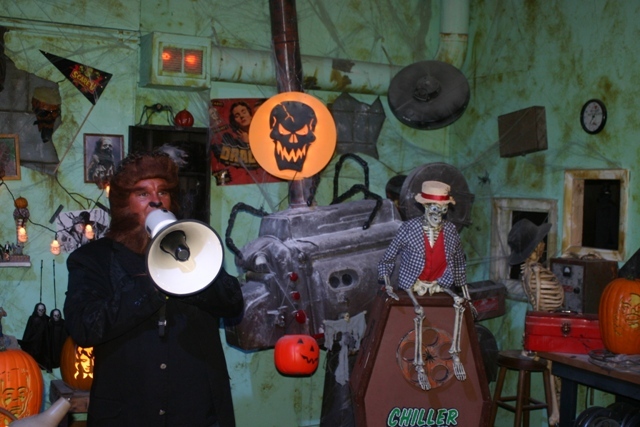 He was my first horror host since Chilly Billy in the late 60’s – early 70’s. I absolutely LOVED Wolfman Mac’s Chiller Drive-In, and so looked forward to it on Saturday nights. Let’s keep the dream alive, and keep pulling for Wolfman Mac to triumphantly return to our television screens some day soon. As a fan, if there is ANYTHING I can do, I would be thrilled to be able to work for and contribute to the cause. Richard, I appreciate you commenting. We loved his show too and the whole crew were wonderful people both on and off the screen. It is a different time for broadcast TV and damn near impossible for a horror host to break in as a paid commercial TV host. Mac’s show was excellent and he had a big following. I wish he could get picked up by a cable channel or someone who knows talent when they see it. He definitely deserved success. Like you, we are intent on keeping the dream alive! Dave, thank you for your kind response. I’m pretty new to your website, so I’m only just now learning my way around it. Great site BTW, and congrats on your recent Rondo Award! Concerning Chiller Drive-In, it really is a shame there are no new episodes being made at present. Hopefully, as Mac Kelly stated above, it’s just a long hiatus while they work out some business-end logistics, and that somebody down the road will be visionary enough to pick up the show, and once again give it the exposure it so richly deserves. I’m certainly not giving up hope, and it doesn’t sound as though the Wolfman is either. Looking forward to the day (or night) he’ll once again howl his way into my living room! Please do keep us posted on any news or developments on that front. We’ll definitely do that, and I know that Mac must really appreciate your comments and obvious devotion! I’m glad you discovered us and we hope that you won’t be a stranger. Gosh, I’m SO sorry to hear that. THough I guess the handwriting has been on the wall for some time now, I was still holding onto some hope that the show would someday be resurrected. As I said above some months ago, Wolfman was the one who rekindled my love for horror hosted movies. I was just flipping channels late one Saturday night a few years back,and happened upon Wolfman Mac’s Chiller Drive-In. I immediately thought, “Wow – there’s someone out there still doing this?! ?”, and became an instant fan. My reawakened appreciation for the genre continued to expand to include a number of other current horror hosts and their shows, but I always felt that the Wolfman and his show were among the VERY best – well written and performed, and consistently funny and engaging. A true shame to see it gone. But who knows? In the world of horror hosts, you never know what might happen. Look at Svengoolie. His show had been gone for a number of years, and now he’s back and bigger than ever, broadcasting nationwide on Me-TV. In any case, my very best wishes for future good luck and good fortune to Mac Kelly, who in my book, is one of the all-time great horror hosts. Long may the Wolfman howl!!! As the former head writer for the show, I appreciate all the love and affection everyone had for the production. Thanks for the comment Dean. I’m glad you and your wonderful wife, Vicki, were involved and that the show granted me the opportunity to meet you. Your writing talents were absolutely key to why I’m still being told by people how much they miss and loved that show. This is VERY sad to hear. I just flipped on my tv and was SHOCKED to find OFFBEAT SNOOZE Cinema in its place. I knew there hadn’t been any episodes in a while, but was hoping that the rerun episodes had been moved to maybe MIDNIGHT. Is there a reason why the reruns won’t continue? from the darkness I met the wolfman at a comic store downriver nice ghoul had our picture taken together but the photo was lost along with the phone I was bummed but still miss chiller drive inn and boney bob and the rest of the crew hope to see you all come creeping back into the evening hours until then keep on howling at the moon see you in the night time the . THE SHADOW. Does anyone know if it is possible to purchase Wolfman Mac’s Chiller Drive-in on seasonal DVD’s? Hi, Ken – Back when the show was running they did sell a few shows but unless you see them on eBay, your best bet may be to try and track down a collector who’s willing to trade.